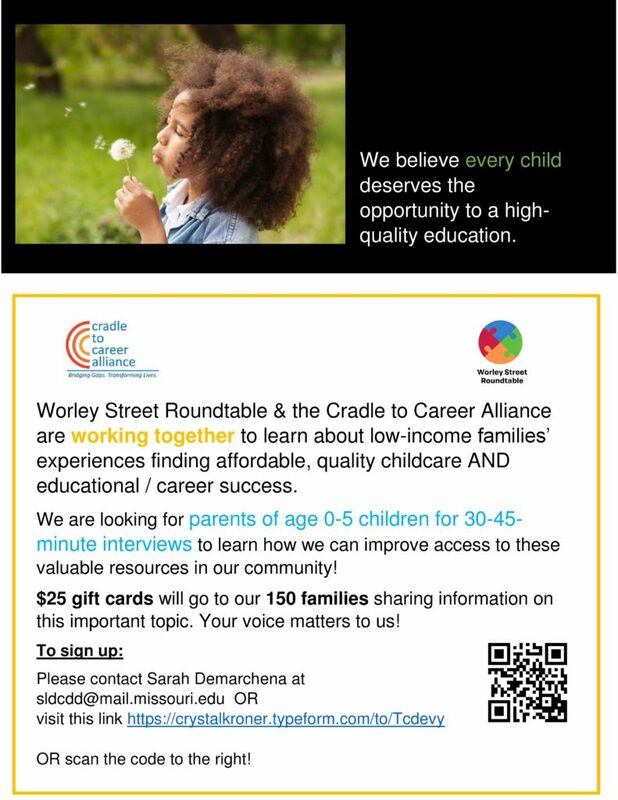 Cradle to Career Alliance and Worley Street Roundtable are working together to learn about parents’ experiences accessing affordable, quality childcare and economic opportunities in our community. Please see the flyer below for more details! CLICK HERE to sign up through our online form. Join us!